Easy access to the outside air. Sliding windows let you have an opening window in an area where a traditional window may not be ideal – for instance, in a window opening that is wider than it is tall, or in hard to reach areas such as behind a kitchen sink. If you are looking to have sliding windows replaced or installed in your home in Des Moines or elsewhere in the state, Home Solutions of Iowa is here for you. We make it affordable to get replacement windows by offering excellent financing opportunities to qualified homeowners. 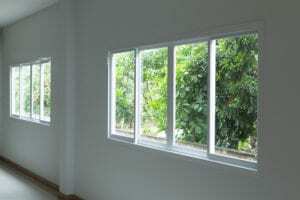 Plus, you will have peace of mind in your investment in sliding windows, as they will be backed by our own non-prorated, transferable lifetime warranty, in addition to the manufacturer’s lifetime warranty on the materials. Contact Home Solutions of Iowa today to learn more about our sliding windows and to schedule a free in-home consultation. We proudly serve homeowners in Des Moines and throughout Iowa.